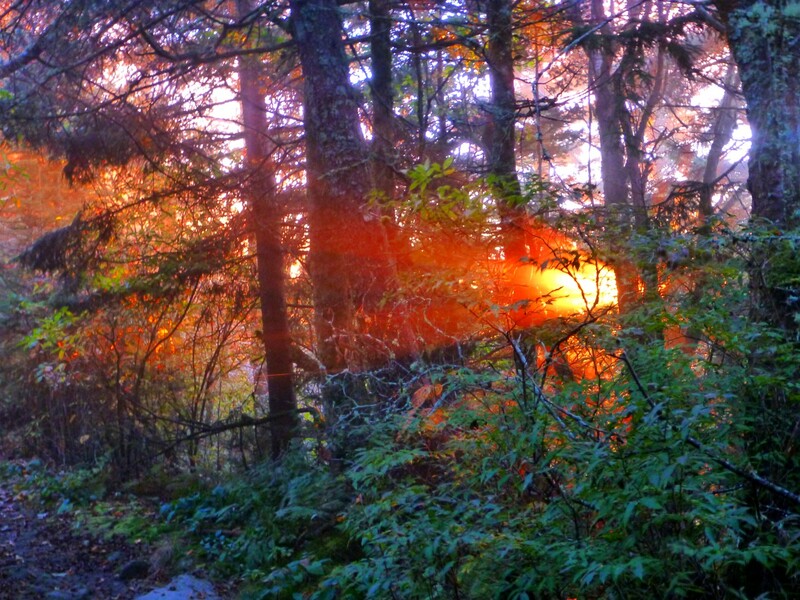 Posted by Jenny in hiking, Nantahala National Forest, Southern Appalachians. 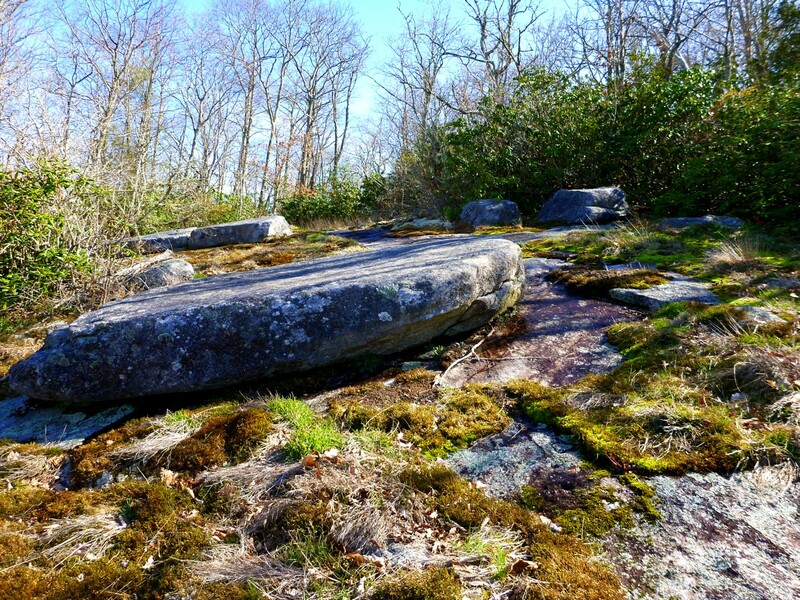 Today I explored a short section of the 115-mile Bartram Trail. 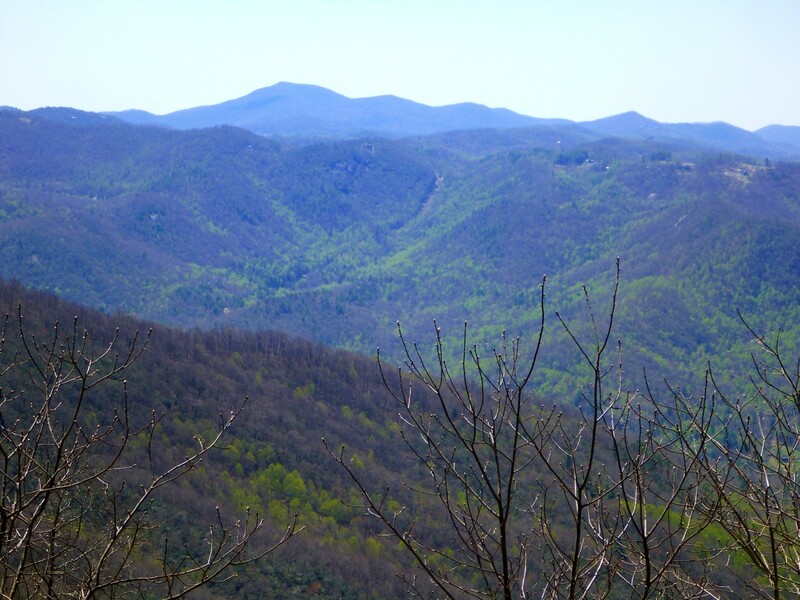 I started at Jones Gap and did an out-and-back of eight miles total plus a couple of side trails. 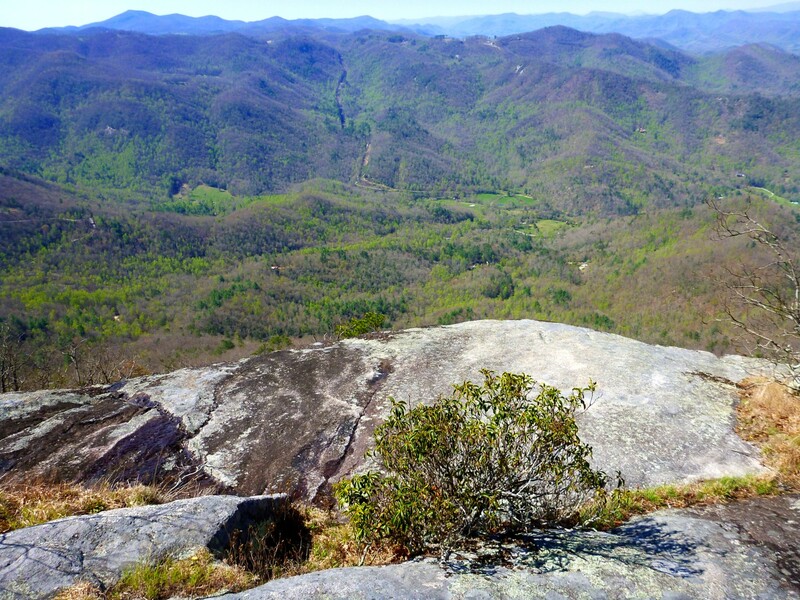 This is a rewarding short trip into more of the plutons around Highlands, NC. 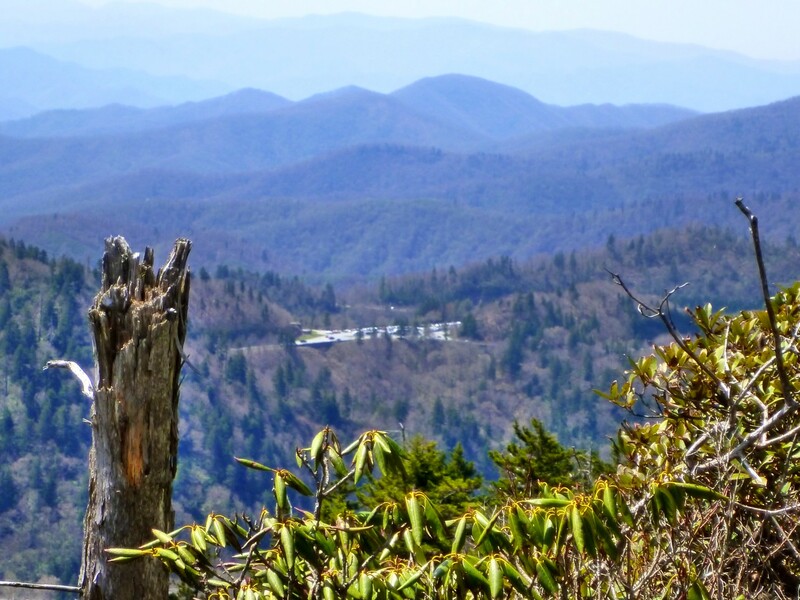 Readers may recall that I visited Whiteside Mountain a couple of months ago. 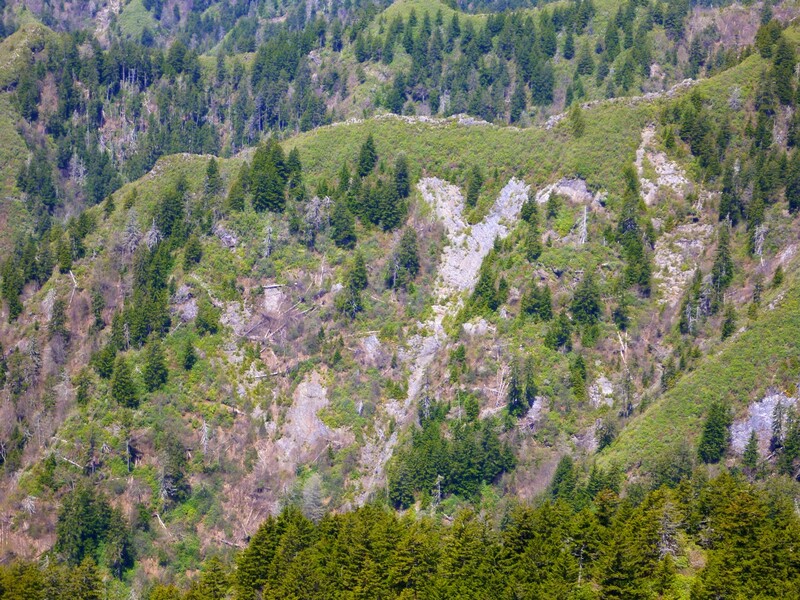 That is in the same area and part of the same geological family. 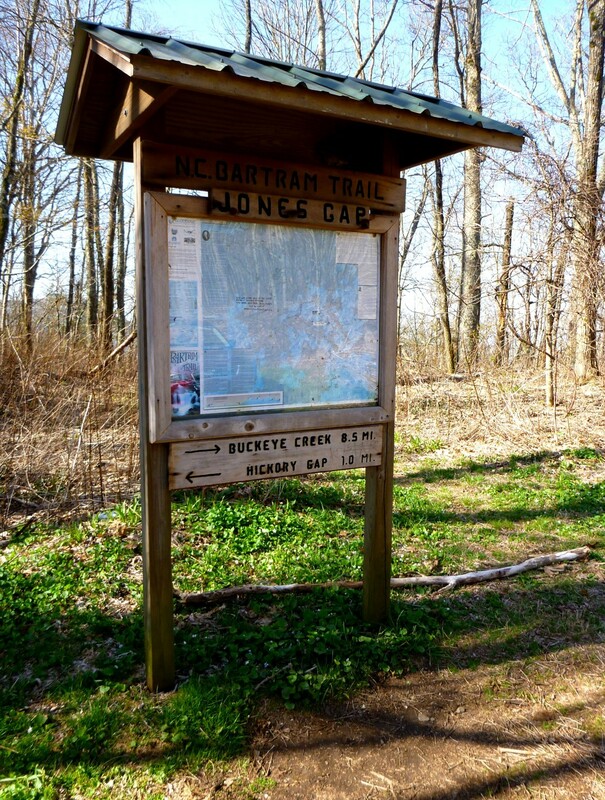 The Bartram Trail goes from north Georgia to western North Carolina, roughly following the route of the naturalist William Bartram on his expedition of 1773 to 1777. 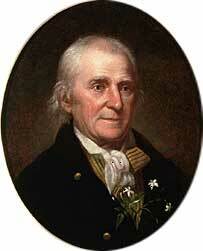 William Bartram, 1739-1823. Explorer and naturalist. 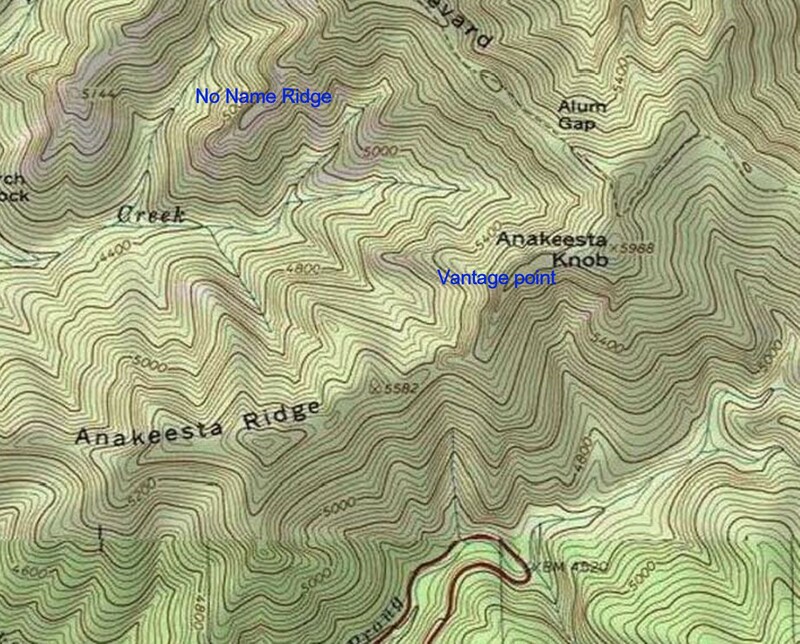 The drive to Jones Gap is fairly dramatic if you approach it from the Cullasaja Gorge. The road through the gorge climbs steeply, with lots of sharp curves and steep dropoffs. Large trucks are banned from driving it. But the Cullasaja road is tame compared to the unpaved Forest Service road that takes you the last couple of miles up to the gap (elev. 4360′). It is the kind of road where you keep your fingers crossed no one comes the other way, as it’s just one car-width wide, with a deep ditch on one side and a dropoff on the other, and only a few spots where you could pull over. The trailhead parking area boasts an attractive informational kiosk. I headed in the direction of Buckeye Creek. 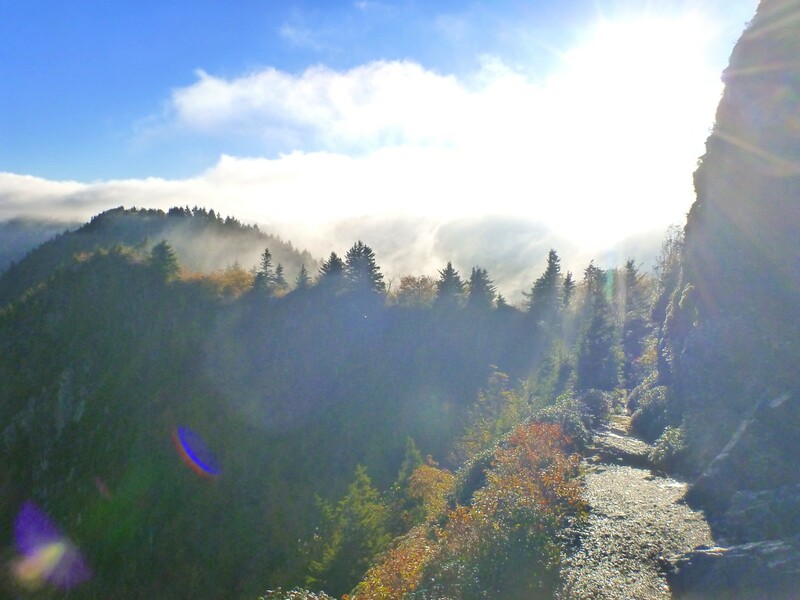 It was a beautiful morning, with a temperature in the low 50s at this elevation, blue skies, and a gentle breeze. As I expected, the wildflowers hadn’t progressed very far here. 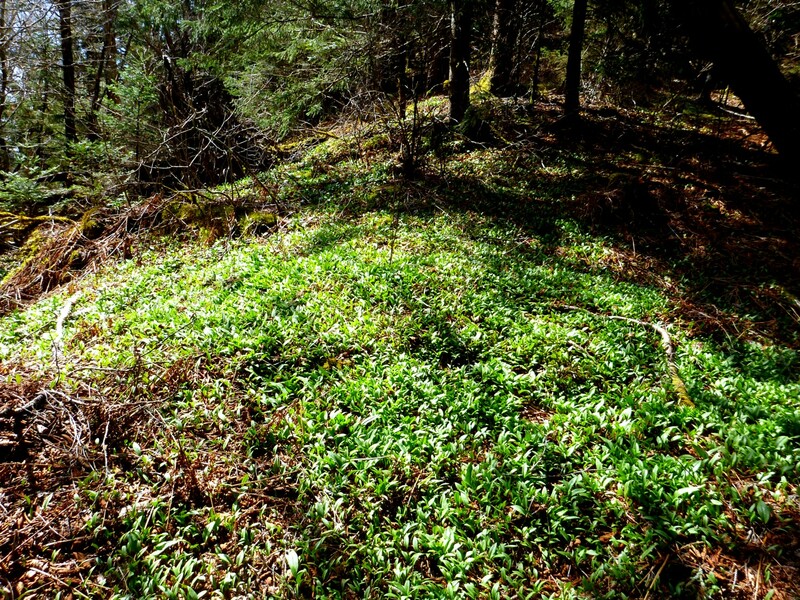 I saw violets, bloodroot, toothwort, and chickweed. 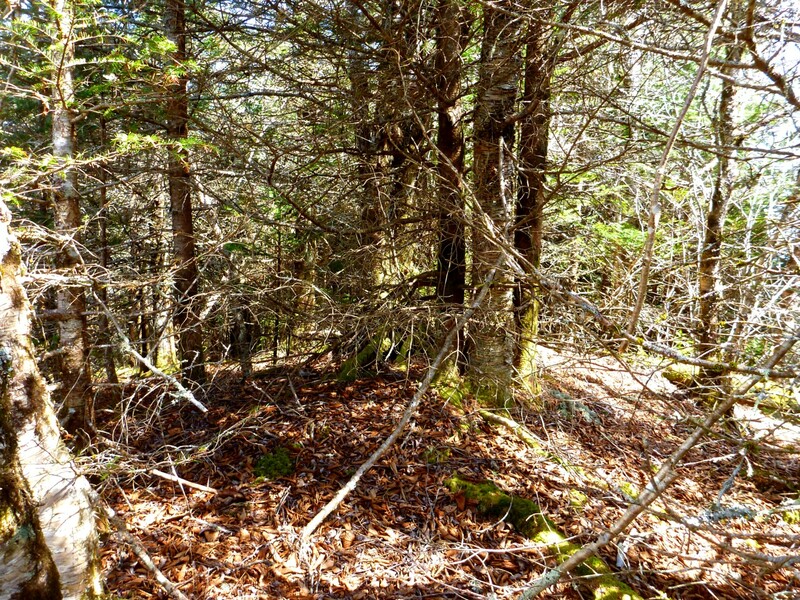 I passed through an anonymous forest of still-bare hardwoods interspersed with clumps of rhodo and laurel. 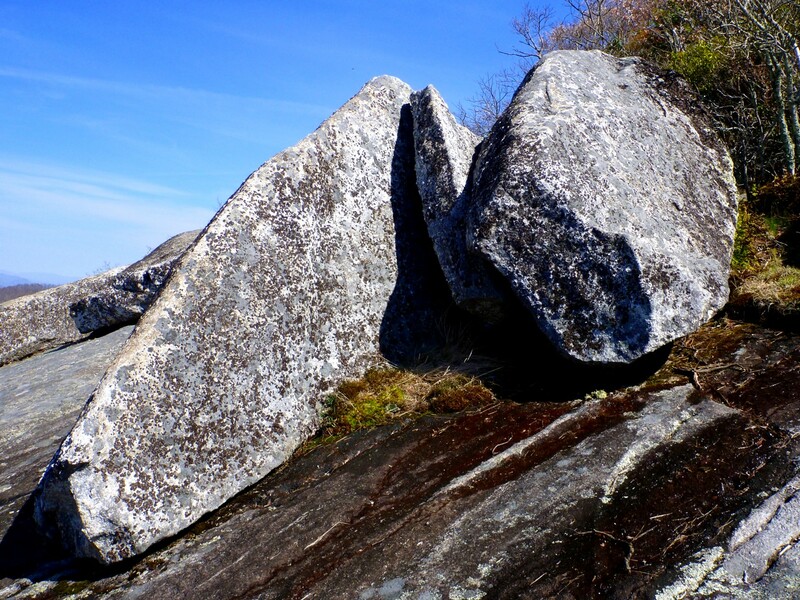 Before I got to Whiterock Gap, I turned off on a short side path that led to open rock with views of Whiterock. Whiterock shows off its plutonic dome. 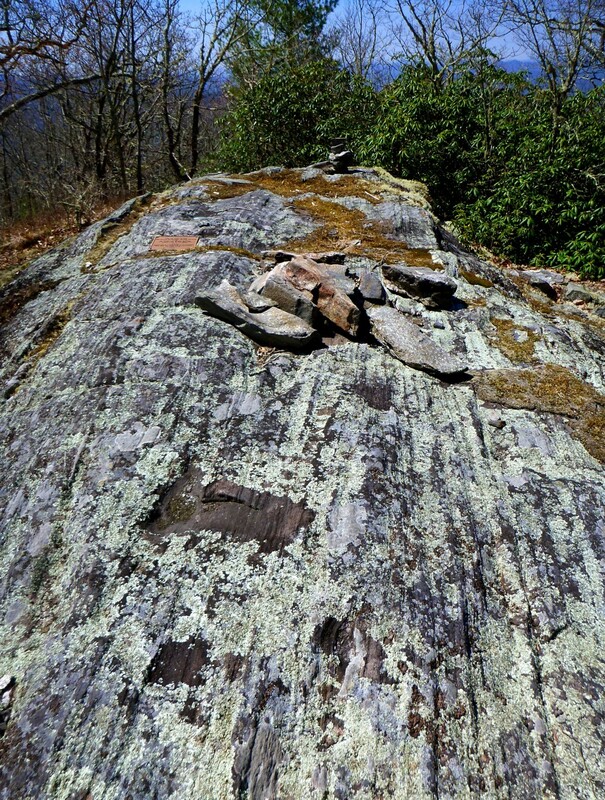 Where I stood, smooth rock was covered here and there with pads of moss. 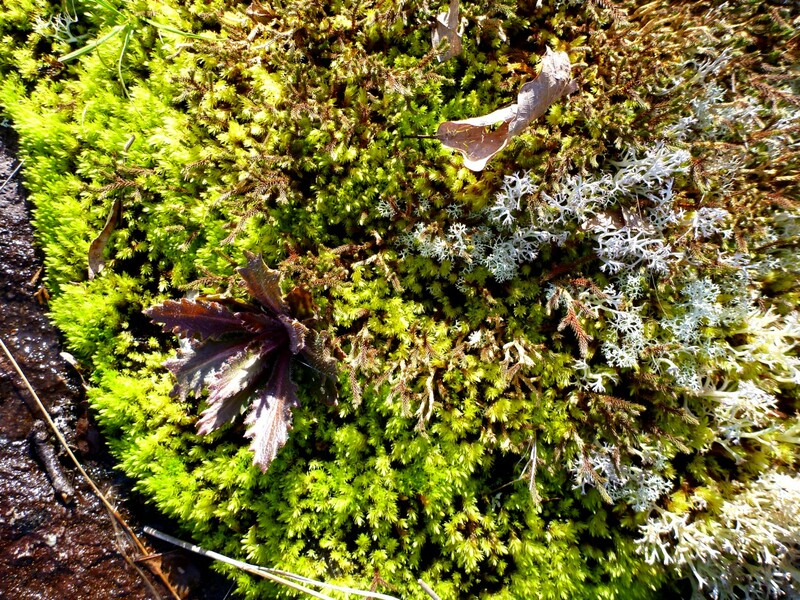 Mosses and lichens formed mats on the smooth rock. 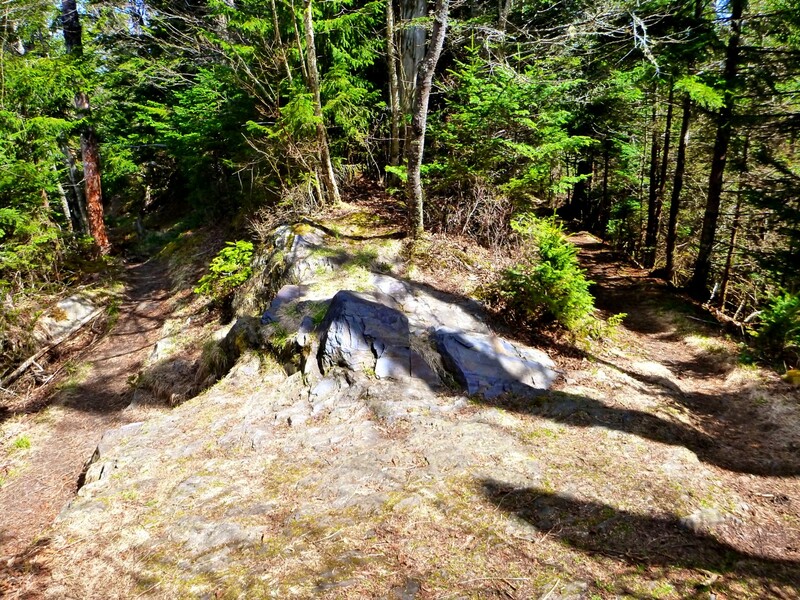 Odd-shaped boulders were strewn about. It made me think of a workshop for assembling Stonehenge. Giants could assemble these into some sort of structure. 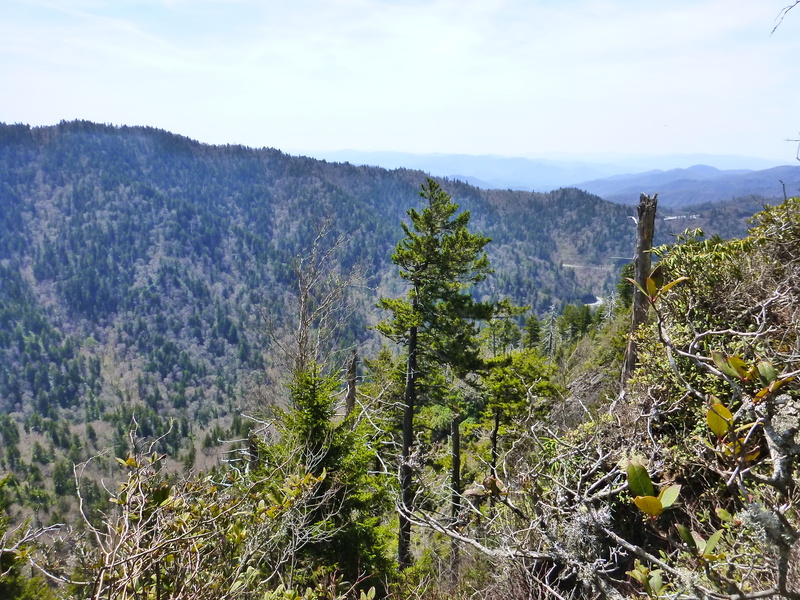 I returned to the trail, went through Whiterock Gap, and turned off again on a trail that climbed 0.3 mile to open ledges near the summit of Whiterock, passing through a clearing where pine trees grew out of small mats of soil and vegetation. 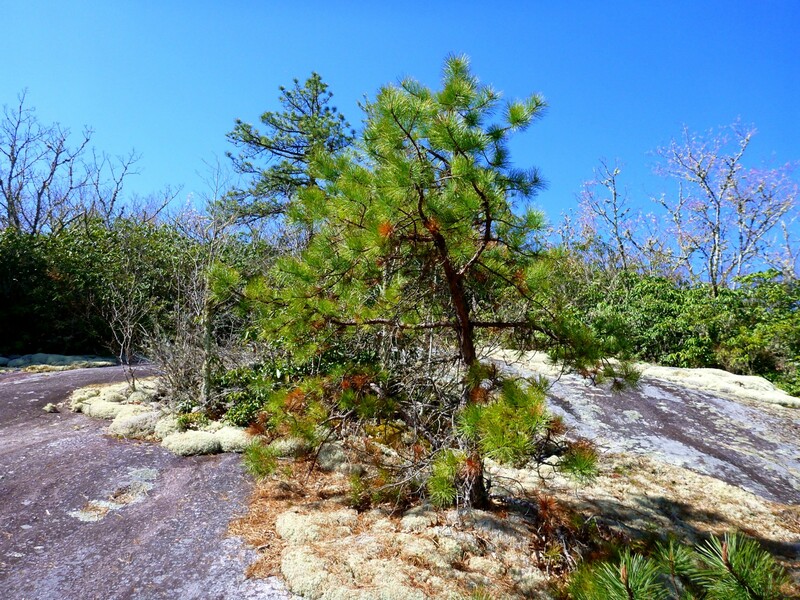 This pine hardly seems to have enough soil to root itself. I came out on a spectacular vista. 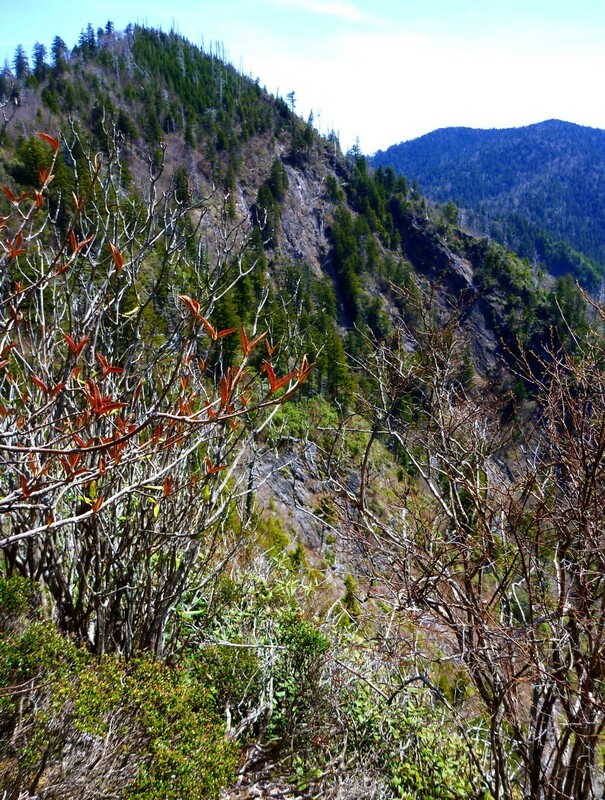 The pale green of spring was creeping up the valleys. 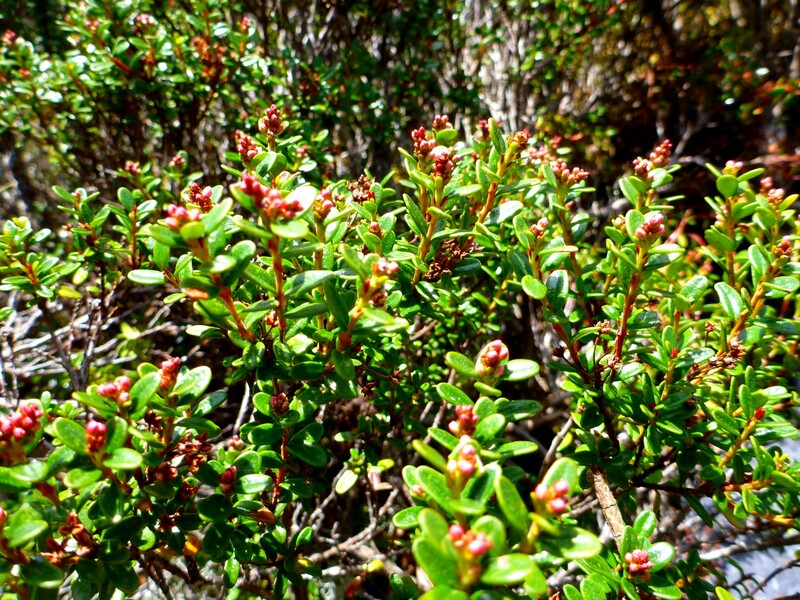 Small serviceberries grew on the ledges. 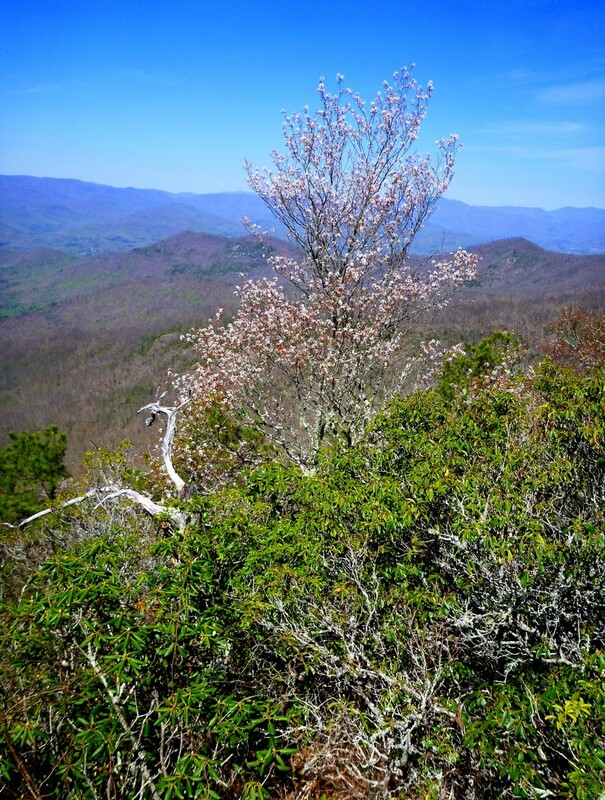 After I returned to the main trail, I spotted an especially nice serviceberry in bloom. 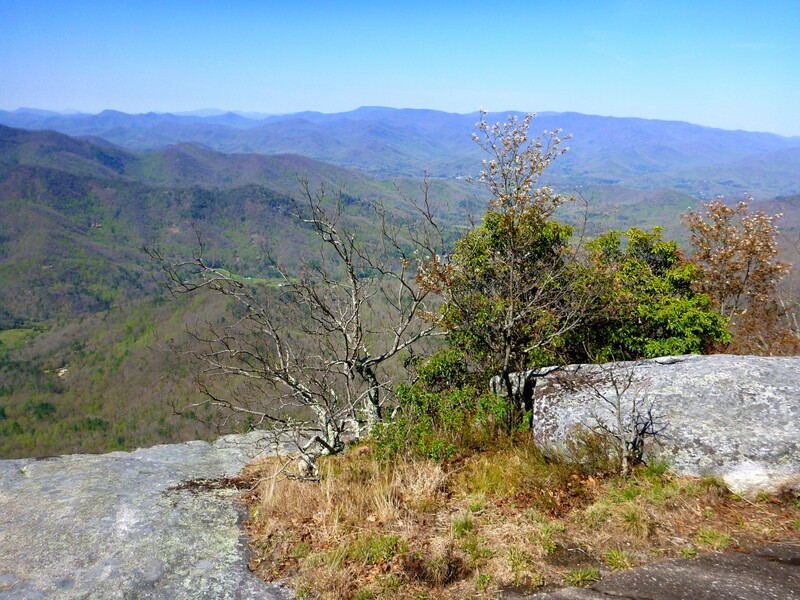 I passed over Little Fishhawk and eventually arrived at the side trail to (Big) Fishhawk. 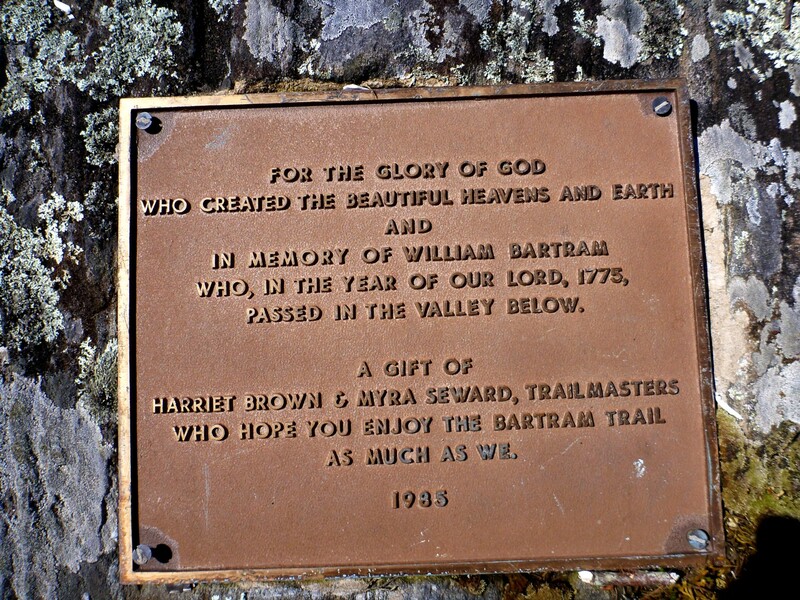 It climbs steeply to the summit, which has no views but features a plaque honoring William Bartram. 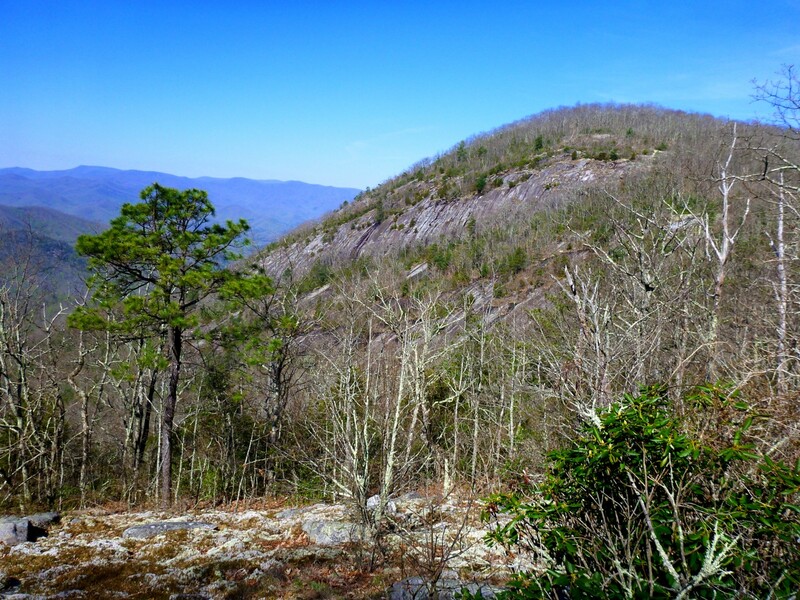 I continued to Wolf Rock, 3.9 miles from Jones Gap. 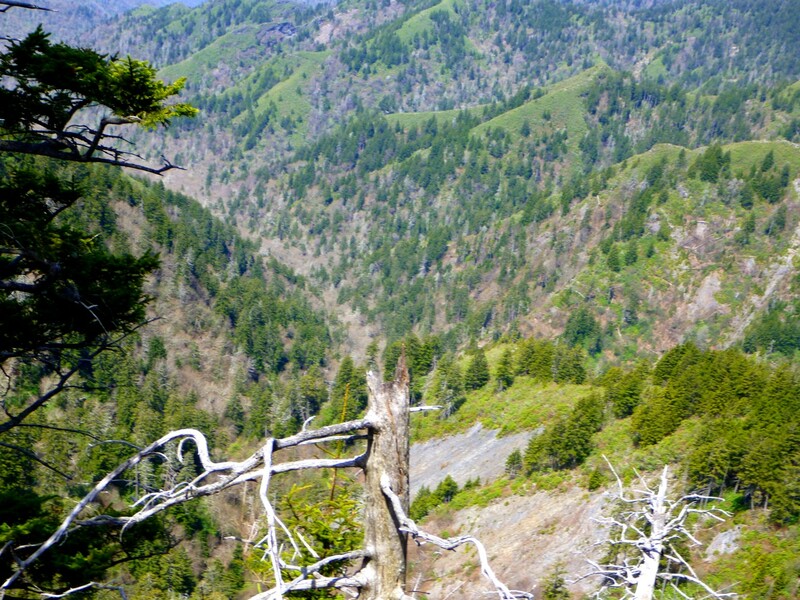 It offered a restricted view that came as an anticlimax after Whiterock, but if you were hiking from the other direction it would be a welcome stopping point on your climb. Three peregrines were racing across the sky when I stopped there. 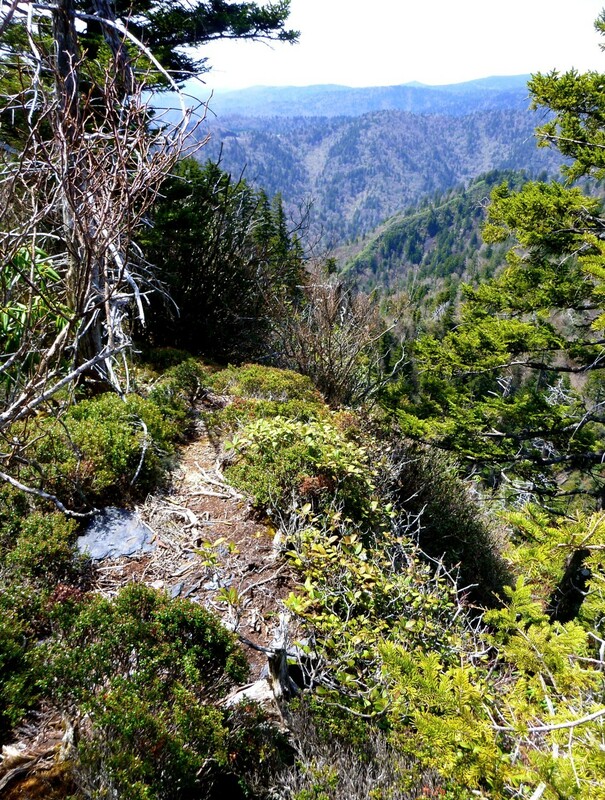 Here I turned back, having enjoyed a short but interesting hike. 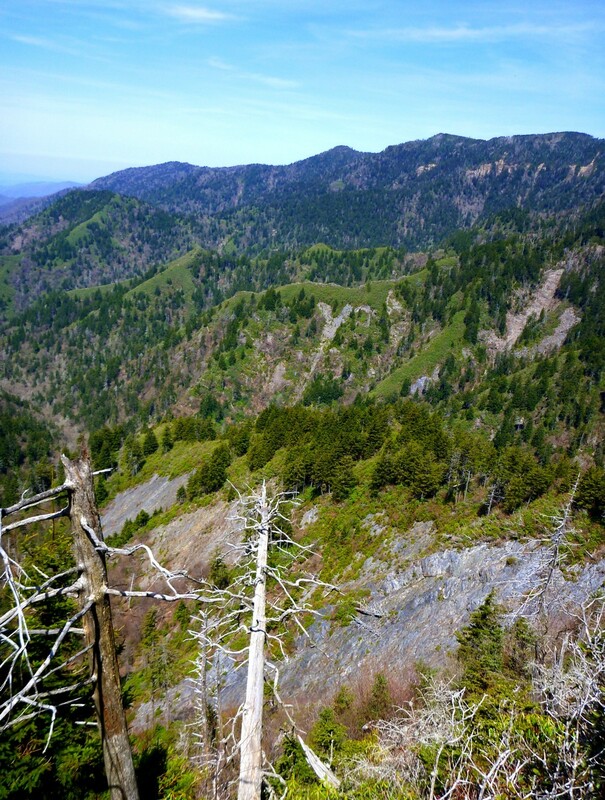 Posted by Jenny in grief, hiking, Life experience, Smoky Mountains. A morning in the mountains. Undoubtedly you, my blog readers, have figured out that I’ve been going through a tough time. Last year was difficult for me. It had to do with recreating myself as a solitary woman rather than a female likely to bond with a man. Then, this year, I lost a companion of 15 years—our relationship had changed from “boyfriend/girlfriend” to “friend,” but still with him I lost a whole enormous world of shared experiences, weird humor, funny musical tastes, and a kind of defiant skepticism. I can’t be other than a skeptic. That is who I am. I cannot be religious, no matter how much comfort that would give me. I do not judge anyone about that. Religion is right for others, wrong for me. I do not aspire to be a “nice” person. I do want to be kind to others. But my view of the world has too many sharp edges for the warm and fuzzy world of niceness. I can be cranky, weird, annoying, and critical. That is who I am. But, I have come across an idea. It is very simple. It is, that today is a great day. Just by deliberate choice. I was thinking about this today in connection with a great article about day-to-day life on an aircraft carrier. It is in the current issue of The New Yorker, by Geoff Dyer. Every day, over the ship’s PA system, the captain tells the crew that it’s “a great day to be at sea.” This becomes kind of a joke with the crew, for in reality each day is pretty much indistinguishable from others. Yet he persists in saying this.